If you got stuck in the polar vortex, odds are that you just got one of your biggest heating bills ever. If you have an inefficient home or heating system, the sticker shock of that bill might last a while. Of course there are some big ticket items, like a new boiler, new windows, or improved insulation that can reduce your heating bill, but there are also some inexpensive or even free upgrades that you can make tomorrow to start saving. Quit heating your home when no one is there to enjoy it! A programmable thermostat will allow you to set the heating back to a lower temperature when you are out for the day or sleeping at night. You can choose exactly when the temperature should turn back up to ensure you are comfortable. If you generally heat to 68 degrees, try setting temperatures back to 60 degrees while you sleep and 55 while you are out for the day. Most thermostats will have an “away” mode for vacations, setting the temperature back for the entire time you are gone and with the push of a button you can regain your typical program once you return. Set back the temperatures in rooms you don’t use to further save on energy costs. Insider’s tips: Ensure the programmable thermostat you purchase is compatible with your heating system type. Purchase a 5-2 or 5-1-1 type thermostat, which will allow you to have a different setting for weekend days than you have during typical weekdays. 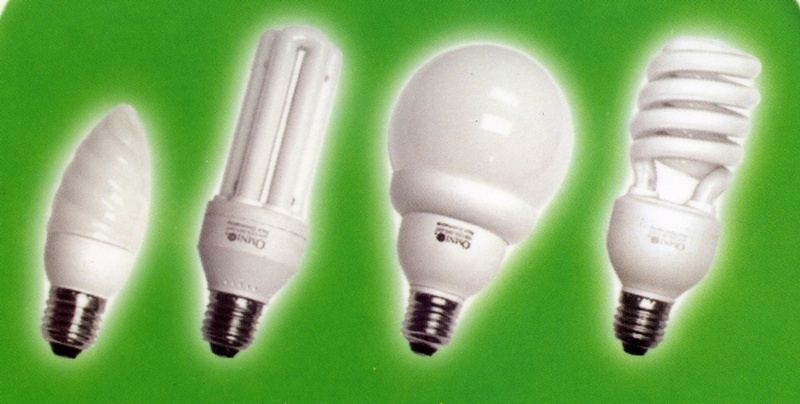 Change out your lighting from incandescent bulbs to CFL or LED. Color rendering has improved. You can get dimming compatible setups. They last ten times longer than your existing bulbs. They cost 80% less to operate than your incandescent. Insider’s tip: For dimming capabilities ensure that both the bulbs and dimmers are compatible with each other. If you can fit a dollar bill through the crack in your door, it’s a safe bet that there are dollar bills flowing out it each time it’s cold outside. 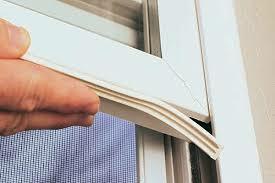 Look for gaps in doors and windows and add weatherstripping. Add caulk to any gaps between trim and the wall or trim and the floor. Feel around other areas in your wall to try to identify other areas of air infiltration. Insider’s tip: Ensure your windows close completely and lock. Locking windows generally seals them completely shut, so it is best to keep them locked throughout the winter for the best air seal. Double the R-value of your windows without replacing them. People often focus on windows, but replacement isn’t generally the most cost effective way to go. Install cost effective insulating shades to improve the R-value of your window without needing to replace it. It is ideal to have a good tight fit and ensure that the blind can lower all the way to the sill to provide the best thermal seal. Check the R-value of the shades you are buying. The higher the R-value, the most insulation you will get out of them. Generally, the double-cell thick cellular blinds or thick roman shades provide the best R-values. Insider’s tip: Open blinds on the East, South, and West during the times when the sun is hitting those windows to get the beneficial heat gain. Close the shades right away when the sun is no longer hitting the windows to keep the most heat inside. Now go outside, build a snowman, and get ready for a lower heating bill. Or call us for an individualized energy audit of your home or commercial building.